Is there really a better way to unwind, clear your full head and take a break from the busyness of everyday life, than walking? 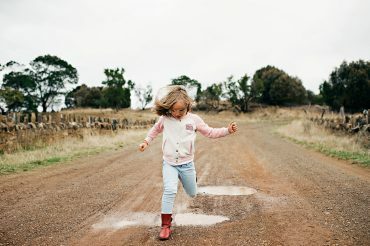 Tasmania’s east coast has places that were made to discover on foot—from diverse national parks to our endless beaches. Purchase your national parks pass online (link below) or at a Visitor Information Centre and set out to explore four unmissable east coast national parks on the Great Eastern Drive. is a short boat trip from Triabunna. Here, you can spend a day (or several) encountering native wildlife and exploring diverse landscapes and convict heritage, including the World Heritage-listed Darlington convict probation station. Take the short walks (1-2 hours return) to Painted Cliffs and Fossil Cliffs or ascend to the top of Bishop and Clerk (3-5 hours return) or Mount Maria (6-7 hours return). Maria is also the location for the four-day Maria Island Walk, one of two east coast walking holidays voted among Australia’s best by Australian Traveller Magazine. Freycinet National Park has a range of easily accessible walking tracks, including the short walk to Wineglass Bay Lookout (two hours return), and half or full day walks including Wineglass Bay Beach, Mt Amos, Hazards Beach and the Wineglass Bay/Hazards Beach circuit walk. At Douglas Apsley National Park, located inland from Bicheno, you can choose short walks, including the Apsley Waterhole and Lookout (2-3 hours return), Apsley-Myrtle Rainforest walk (30+ minutes) or the more challenging overnight walk to Heritage Falls and the Rainforest Circuit (7-9 hours return). At Mt William National Park, you can take your time to wander long beaches (idyllic for summer swimming) and encounter native wildlife, indigenous heritage and diverse plant life. If you’re walking independently in a national park, you’ll need to carry your own food and water and make sure you have appropriate bushwalking gear for Tasmanian conditions. For safety and up-to-date walking information, make sure you check the Tasmanian Parks and Wildlife Service website (link below) and local weather conditions before setting off to explore Tasmania’s national parks. Australian Traveller Magazine has voted two quintessential east coast walks, the Bay of Fires Walk and the Maria Island Walk, among the country’s best walking holidays. 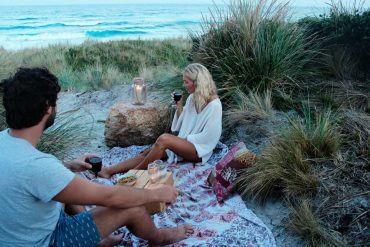 The Bay of Fires Walk is four luxurious days of superb beach and coastal walking that combines accommodation at a private standing camp with two nights at stunning Bay of Fires Lodge, where you will be wined and dined with Tasmania’s finest produce and vintages. The award-winning Maria Island Walk is also four days in length and covers 43 km of beaches, grassland, bush and the rainforests of Mount Maria. The first two nights of the walk are spent in permanent tent accommodation with the final night in heritage-listed Bernacchi Homestead. The Freycinet Experience Walk is a four-day guided discovery of the Freycinet Peninsula’s beaches, coastal heathlands, and the pink granite slopes of Mt Graham. Accommodation is in the award-winning Friendly Beaches Lodge, where you’ll be pampered with hot showers, fine Tasmanian produce and wine and the bliss of a soft warm bed each night. Wineglass Bay Sail Walk presents you with a unique chance to experience the beaches, peninsulas and walking trails of Maria Island, Freycinet Peninsula and Schouten Island. Choose from four or six day experiences sailing aboard the luxury ketch Lady Eugenie to each of your walking destinations. Enjoy gourmet dinners onboard or under the stars on an east coast beach and sleep in the comfort of the Lady Eugenie’s cabins each night. Guided walks on the east coast average around four days in length. If you’re walking independently, you’ll need to plan for enough time to walk at your pace, see what you most want to see and enjoy your experience. You’ll need to allow a full day to visit Maria Island, (including travel time to and from the island) or longer if you plan to explore the park a little further. You can do short walks in Freycinet, Douglas Apsley or Mt William National Park in a morning or afternoon, or plan to spend a full day or weekend to do some of the longer walks. Check the Tasmanian Parks and Wildlife website for detailed walking information. To help plan your visit, check our travel times and driving distances.